An early November shop update this morning as I’ve been busy catching up with some dyeing for the holiday knitting season! 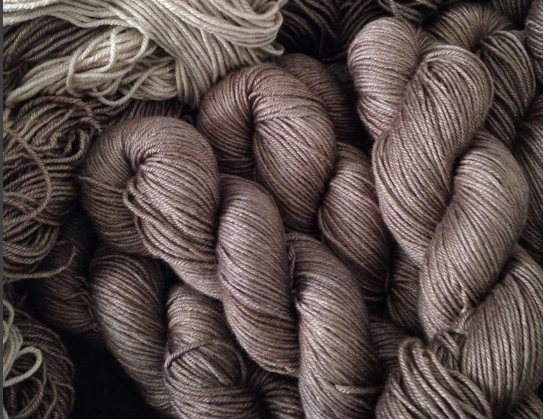 There is another exotic new hue of Beyul – yak, silk, merino! Named this one Orchid as it is a deep purple on the pink side. Marigold and Purple Reign has also been restocked for any of you planning to knit somePavilion shawls or Honey Cowls for Xmas gifting. Like a lot of knitters I am very aware of the days flying by until the holidays and am planning to make more handmade project bags and add more these beautiful fair trade Baa shawl pins to the shop for gift giving. . 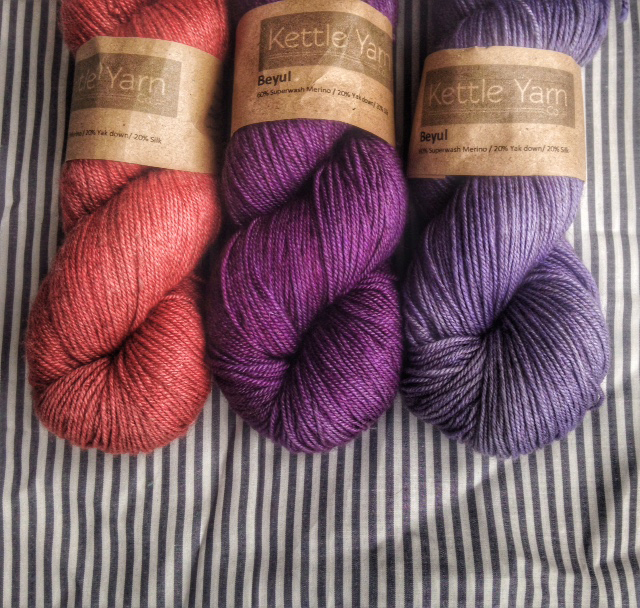 These would make a stunning gift for any knitter – to be treasured for life. Hand crafted in fair trade conditions by skilled silversmiths in Indonesia where artisans establish their own prices for each piece, getting fair prices for their labour. These stunning ewe pins have a lovely weight and the quality of the carving down to each little ear on each piece is sublime! Nice and long with wavy sticks to keep the pin from falling out and being lost, these can be used to secure your shawl, cardigan or even your hair! I tried mine as a hair stick and it works perfect, even for my heavy mane. Find these all in stock on the shop now!